(Bundespreis Ecodesign) - Video Link. the urgently needed changeover from cars to more resource- and environmentally friendly individual mobility." 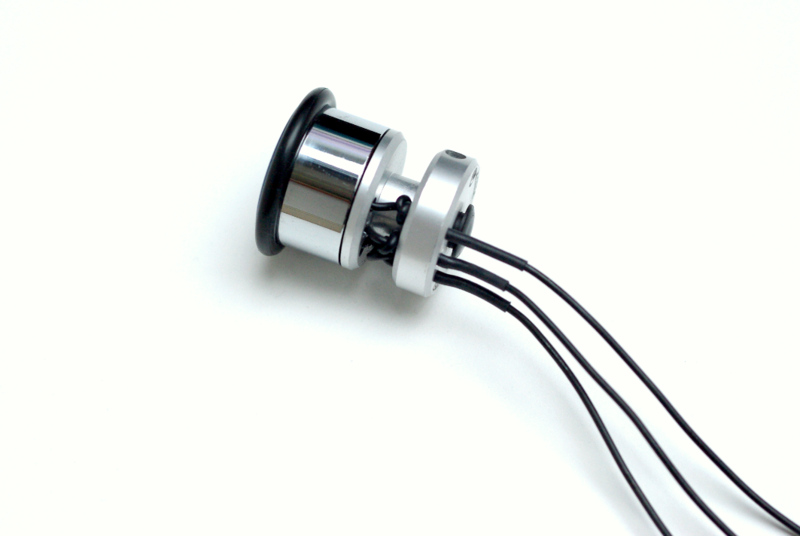 a high-end durable standard component for the use with LED lighting systems on bicycles. Modernly designed for year-round cyclists and sportive cyclists. 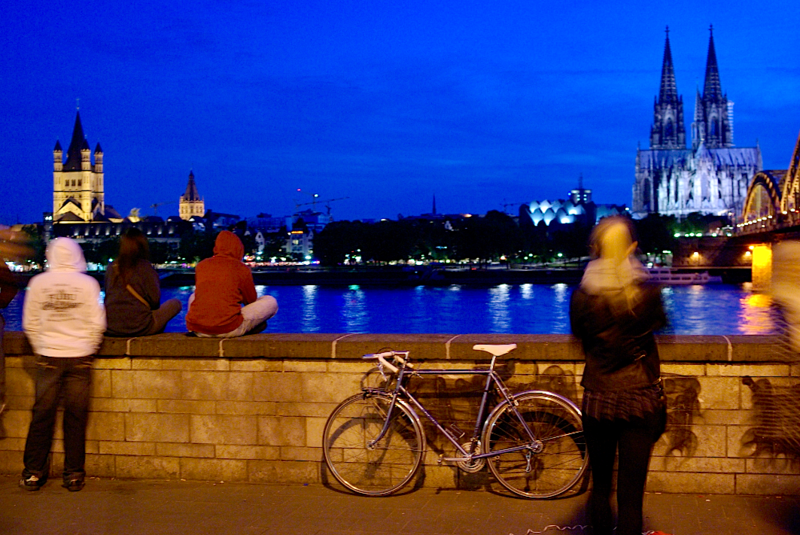 The tiny Jewel for LED-lighting on bicycles. and bicycle chargers for on-board power supply particularly efficiently. The 3-phase generator (3 cables) is much more powerful than dynamos (2 cables). VELOGICAL Dynamo review at Bear Bones Bikepacking UK by Stuart Wright. VELOGICAL Dynamo at PechTregon Cycles, the winner´s bike of the legendary Concours de Machine 2017 in Ambert/France near Clermont-Ferrand. Concours de Machine is the rebirth of the modern french art handicraft bicycle. 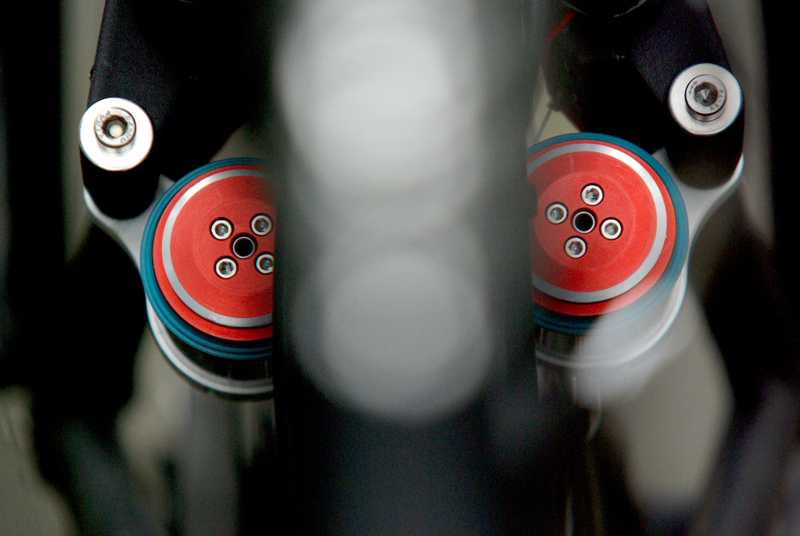 Scrolling down to the detail photos, you see the VELOGICAL Rim-Dynamo installed on a special front fork design. 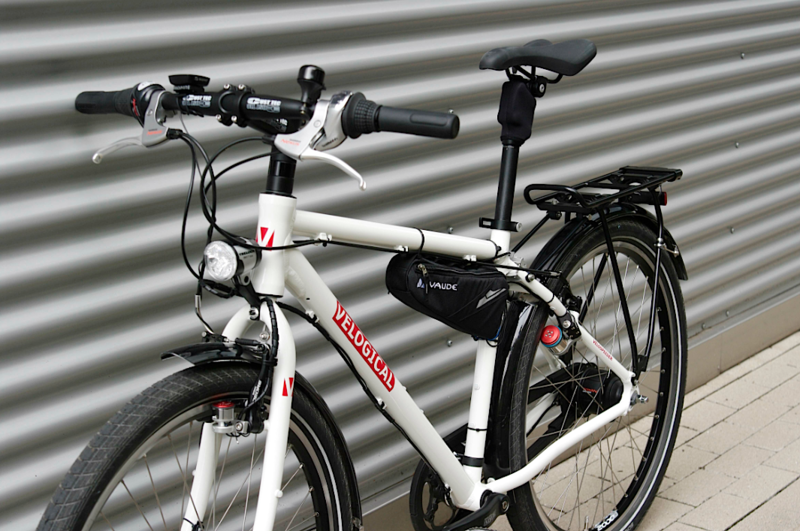 We are proud to see that the french constructeurs use the VELOGICAL bicycle dynamo for their high-quality light-weight randonneurs equipped for everyday use. VELOGICAL represented the country North Rhine-Westphalia with its retrofittable e-Bike Motor VELOSPEEDER together with other selected start-up companies at SportTechMatch 2017 the day before the Grand Départ of the Tour de France in Düsseldorf at the NRW-Forum Düsseldorf / Ehrenhof, flanked by the photo exhibition "Mythos Tour de France" and the Rapha Pop-up Store. The SportTechMatch 2017 was part of the Business Framework Program of the Grand Départ Düsseldorf and is organized by the enterprise europe network NRW.Europa, sponsored by the center for innovation and technology NRW Zenit Gmbh, NRW.BANK and NRW.International GmbH. VELOGICAL is listed among the Top 10 in the category Sport for participation at Greentech Award 2017 – the world’s biggest environmental and business prize! 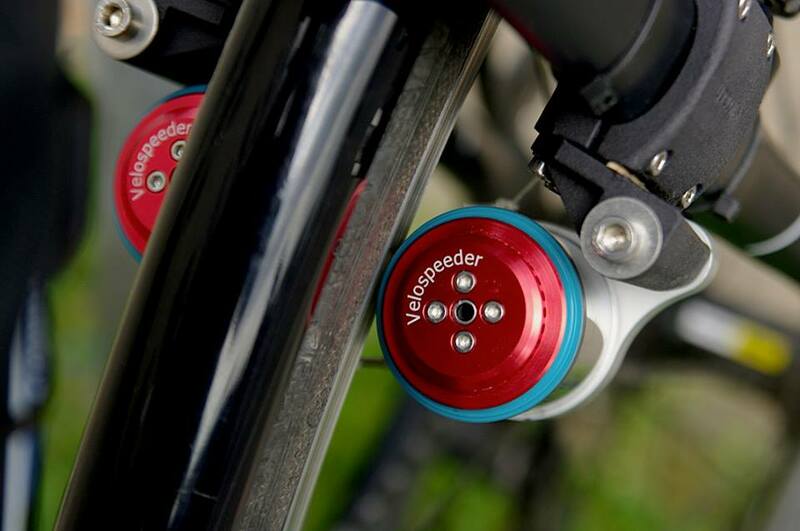 The VELOSPEEDER by VELOGICAL is the world´s lightest standard motor for bicycles weighing only 500 grams. Environmentally friendly, 10x more energy-efficient than a moped with combustion engine. Suitable for continuous operation, durable, powerful. Folds out of the way when not in use, no frictional resistance. The bike remains a lightweight means of transport even with the electric motor. 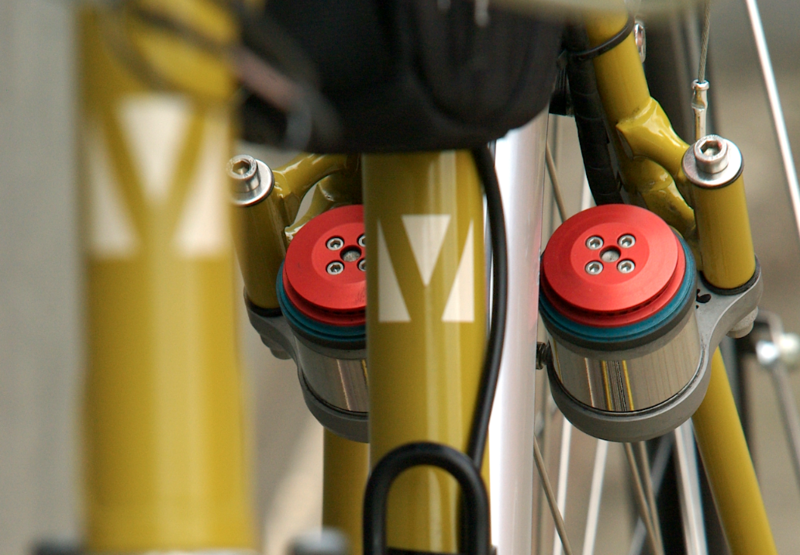 VELOSPEEDER presentation at Newsgreen: Get Excited about this ultra-light bicycle engine! the rebirth of the modern french art handicraft bicycle. 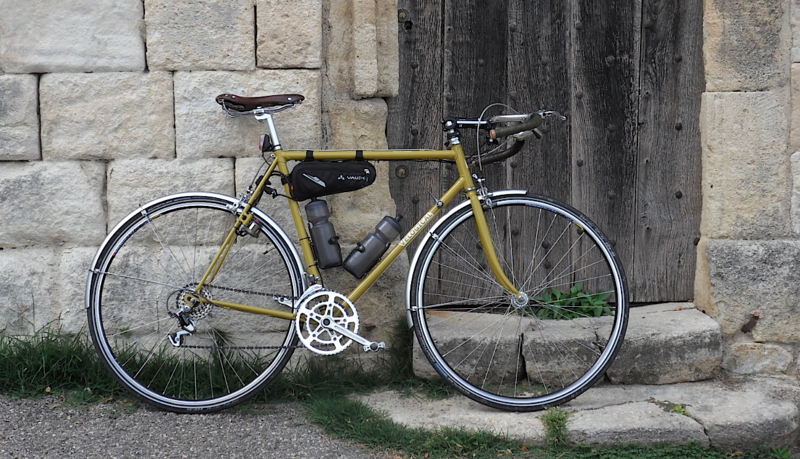 Constructeurs: MILC pour Goblin Bikes, Gilles Berthoud, Cycles Cattin, Histoire Bike. 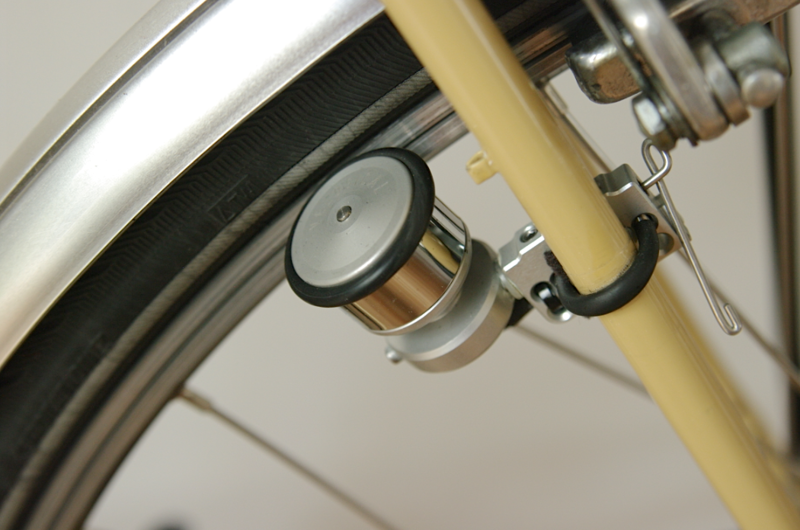 E-mobility & healthcare, bicycle mobility with motorized assistance despite disability, accident, rehabilitation. BROMPTON motorization: the german manufactory of special bikes JUNIK-hpv and VELOGICAL engineering realize together an electric motor version for the legendary BROMPTON folding bike maintaining its hard skills as lightweight, folding mechanism and all technical functions and features without additional wear on the rim and tire. Details are published on the german news website Inside eBike (article from 01.27.2016) or read the english version on Facebook. JUNIK-hpv rehabilitation special bicycles for short stature people with special ergonomics with VELOSPEEDER e-bike drive. Regular cooperation and common development of special solutions between JUNIK-hpv and VELOGICAL. 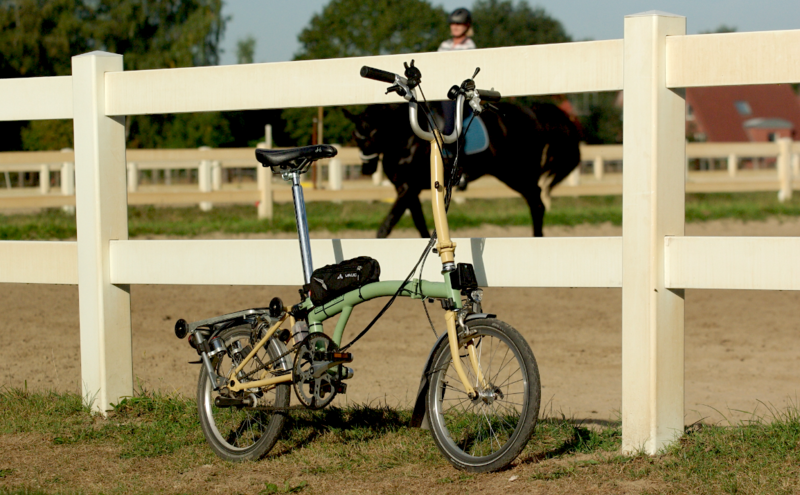 Image Example 1, Electric Dandy Horse based on a Brompton frame (the classical Draisine bicycle from 1817, the archetype of the twowheeler bicycle). Based on this motor adaptation, both parties are currently working as well on the fine-tuning for a VELOSPEEDER pedelec retrofitting for standard Brompton folding bikes. 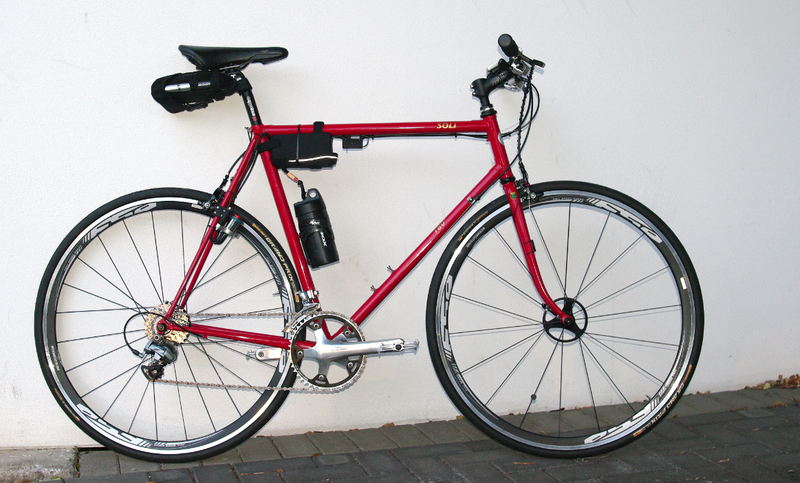 VELOGICAL Rim-Dynamo from Cologne, selected configurations for LED bicycle lighting available across this website, see menue "Ordering". 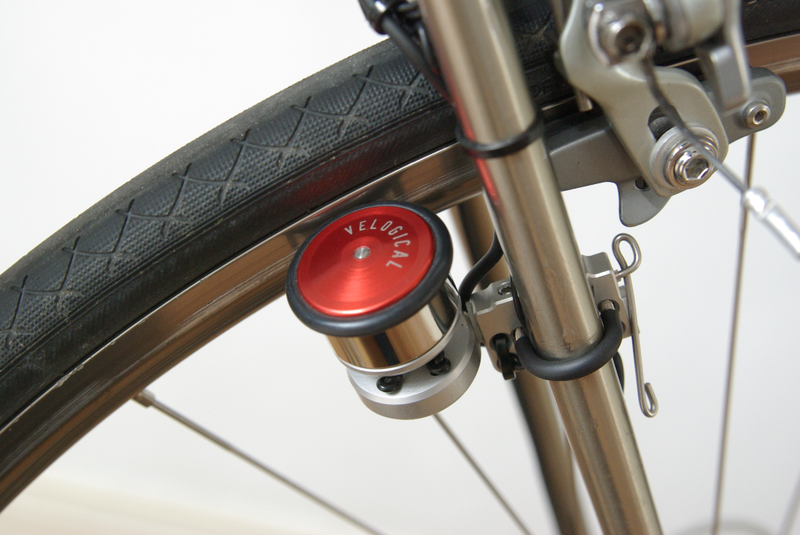 The VELOGICAL dynamo is an alternative lighting solution to hub dynamos specially for night cycling, night race, nightride, brevet, audax, randonneur, randonneuse, cyclocrosser, crosser bike, roadbike, marathon bike, bike travel, urban bike, urban cycling, trekking bike, bike to work, bike commuting. StVZO - VELOGICAL absolved successfully the certification process to obtain a StVZO approval according german law regualtion for all three dynamo variations. According to the certification measurements by the independent scientific institute KIT the requirements are met to the power class of 1.5 watts at 15km/h on a digital load according DIN 33958, the new neutral simulation of LED lighting. VELOGICAL Dynamo review USA part 1 "The Shocking Truth, Part 7: Something Old is New Again"
VELOGICAL Dynamo review USA part 2 "Longer term with the Velogical Rim-Dyanmo"
VELOSPEEDER photos and short description on our Facebook-website. Presentation of VELOGICAL´s Rim-Dynamo Trekking with a Special Mount by framebuilder Brian Chapman on Philly Bike Expo 2013 and at Urbanvelo.org . Presentation of VELOGICAL´s RIM-Dynamo Sport at Cycles Alex Singer during the Salon du Cycles in Paris 2013. Heavy user test with the VELOGICAL Dynamo under real outdoor conditions in southern France around the Mont Ventoux and the canyon of the Ardeche, 6 daytrips, 690 kilometers, more than 7000 meters altitude difference, top speed around 65km/h partly on rough pavement with vibrations. Result : electrical support uphill and downhill without any errors. Involuntary Rain Test with the Rim-Dynamo Sport, about 100 kilometers at Bocholt RTF, cycling along the Northern Lower Rhine Plain. 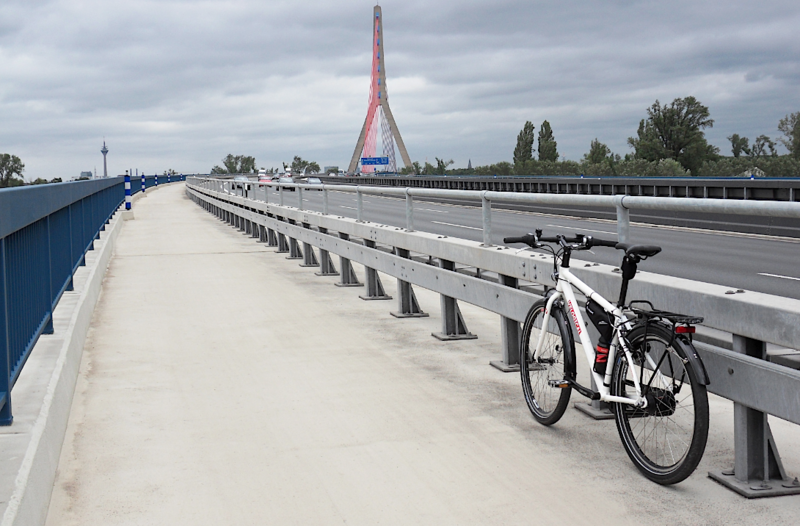 GESTA Stammel is a technical partner of VELOGICAL engineering. The renowned workshop of experts is also from Cologne and supports us in sample series in the product development and special solutions. GESTA Stammel has for decades been an insider tip for individual handmade frames and special constructions and is one of the pioneers of the modern trekking bike. Report about the COMPACT dynamos by VELOGICAL as one of three emphasized New Products of "SPEZI"
In the course of further patent applications eBike drive technology and LED-lamp technology which are now utilized with us, we decided to firm with the name VELOGICAL engineering from now on. Our previously established domains are gradually redirected to the new domain and remain. Of course, all previously imported mail addresses remain as well. A tandem as a wedding gift - a stylish gift idea for newlyweds.